American women are the subject of endless discussions regarding their role in society, their veils as symbols of oppression or of freedom, their identity, their patriotism, their womanhood. Yet the voices and life experiences of Muslim American women themselves are rarely heard in the loud rhetoric surrounding the question of Muslims in America. 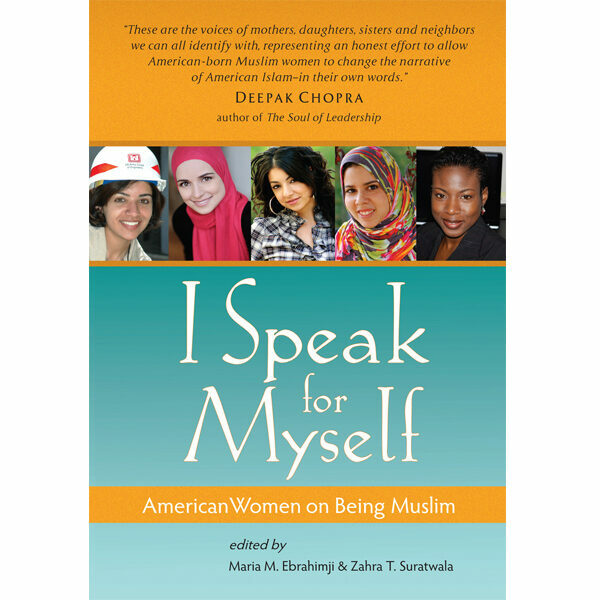 Finally, in I Speak for Myself, 40 American women share their experiences as Muslim women in America. While their commonality is faith and citizenship, their voices and their messages are very different. Readers of I Speak for Myself are presented with a kaleidoscope of stories, artfully woven together around the central idea of limitlessness and individuality. Each woman uniquely defies labeling, simply by defining for herself what it means to be American, Muslim, and female. Each personal story is a contribution to the larger narrative of life stories and life work of a new generation of Muslim women. “Too rarely are Muslim women’s voice heard. I Speak for Myself is an extraordinary collection of essays that lets Muslim American women speak for themselves. It is refreshing, inspirational, honest, and ultimately, an indispensable guide. I must congratulate the editors Maria Ebrahimji and Zahra Suratwala for their important contribution.” ~ Professor Akbar Ahmed, American University.